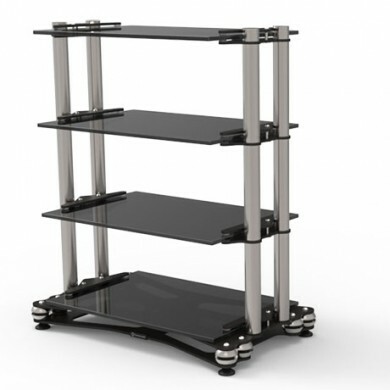 The Townshend Audio Seismic Isolation Stand is an equipment support system designed to fully isolate all hi-fi, audio and video components from ground borne vibration. The concept for the Stand is derived from the original multi award winning Seismic Sink Stand introduced in 1997. This radical product re-wrote the rules on equipment support, rules which had always insisted on rigid coupling to the floor to ‘drain away unwanted energy’. The performance of the soft suspended Seismic Vibration Isolation Stand compared with all rigid designs showed the hi-fi world how absolutely vital it is to thoroughly isolate all source and amplifier components from ground-borne vibration. The Seismic Sink Stand sets a new level of performance, style and practicality. 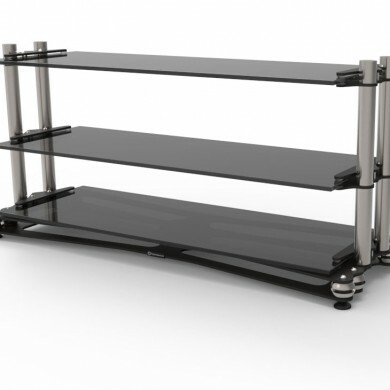 Minimalist in design it has height adjustable smoked glass shelves held on support poles and mounted on a platform that includes eight Seismic Load Cells™ in-between two rigid steel plates. This arrangement, in conjunction with the mass of the stand and equipment, forms a stable suspended low-pass filter with an attenuation of about 20dB per decade above 2Hz. 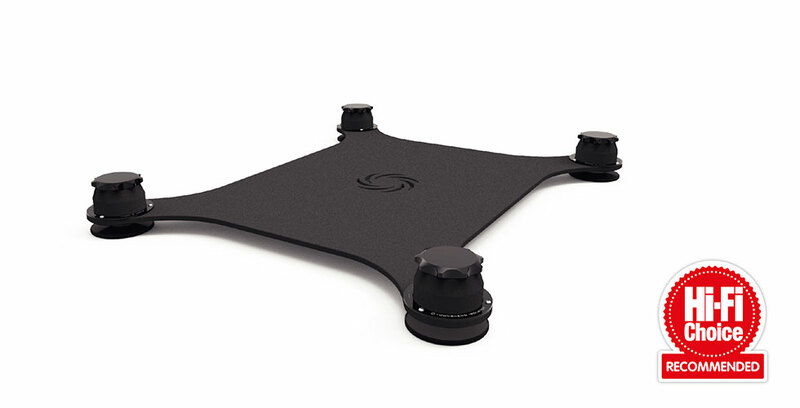 This ensures that deleterious ground borne vibrations from 4Hz and above are virtually eliminated. Isolating audio and video components from vibration increases fidelity and imparts an openness and clarity to the sound, with gains in focus and solidity of image. A result that non-suspended stands simply cannot approach. 100% maintenance-free, the stand is manufactured to a high standard in order to last a lifetime. Standard shelves are made of polished and toughened safety glass that looks great and provide durability. The four point mounting clamps have vibration absorbing pads which form a constrained layer damped assembly with virtually no resonance once the equipment is in place. Rubber or felt feet on the supported equipment completely eliminate any possibility of ringing. 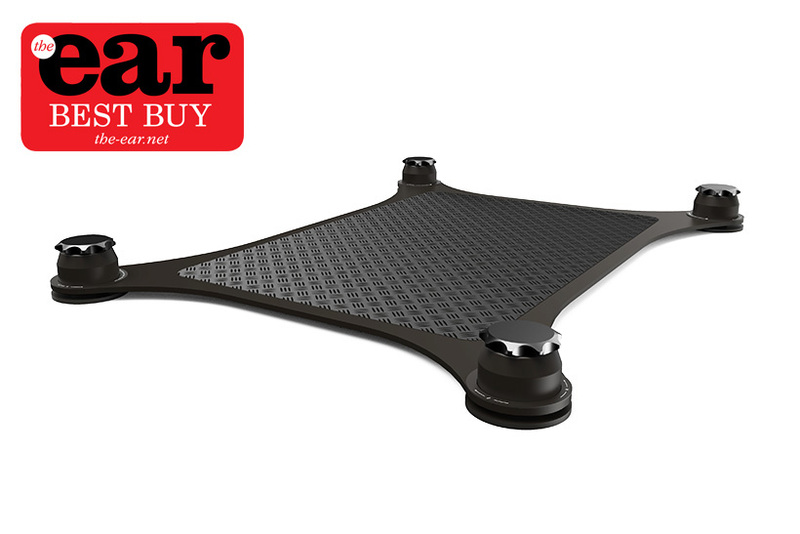 The stand rests on soft plastic feet that will not harm wood or carpet floors and are easily adjustable for precise leveling. The Seismic Isolation stand can be levelled with the supplied spanner when fully loaded. The Load Cells™ come in a range of strengths to suit the weight of the equipment suspended. 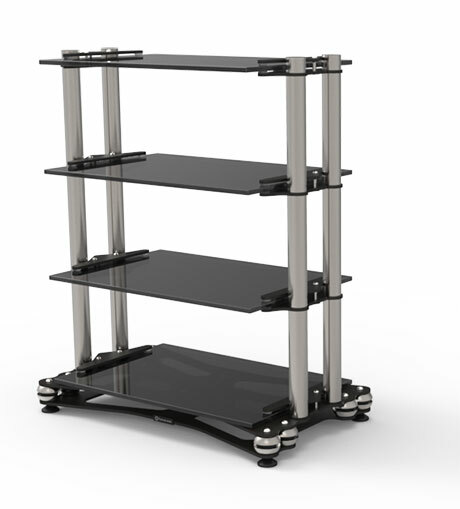 In the standard range the maximum equipment weight is between 150kg and 200kg (330 & 440lb) depending upon the number of shelves. •	Weight for each piece of equipment starting from the bottom shelf. •	Width, depth and height for each piece of equipment starting from the bottom shelf. The length of the support poles is relative to the number of the shelves and the height of the gaps between them. Special stands of any size can be made to order for a nominal charge. 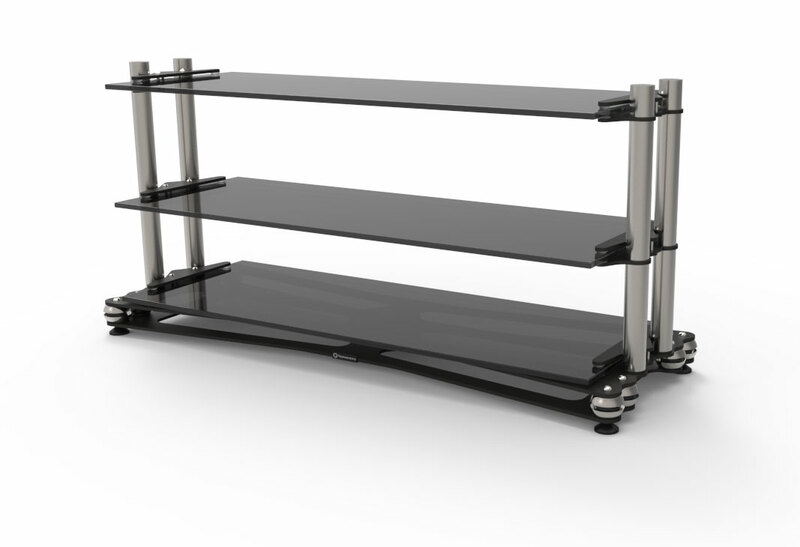 It is possible to have a stand with the top shelf rigid to the ground and the lower shelves isolated. The stands are delivered flat packed with comprehensive easy-to-follow instructions. Alternatively, the stand can be supplied ready assembled for a nominal charge. In this promotional video filmed at the National Audio Show in UK, Mike Valentine from Chasing the Dragon and Rolf Ward from Henley Designs, Wax lyrical about their experiences using the Townshend Seismic Podiums under their speakers.